PEACE SUNDAY. The Christian liturgical year has long pointed us toward peace on the second Sunday of Advent. Peace really deserves more than one focal Sunday but we’ll light that Peace Candle and find as much warmth and challenge in its flame as we can get. There is, after all, always great need for oppressions to cease and chains to be broken. Those lines may hold familiarity. After a decade of banishment by the French Catholic Church for its connection to controversy, 'O Holy Night' was discovered by an American writer and Abolitionist advocate, John Sullivan Dwight. He was drawn to the songs call for justice and peace. Does that line beckon us forward still? Are there chains yet to be broken? “Blessed be the Lord God of Israel, for he has looked favorably on his people and redeemed them. Chains shall he break. It’s quite an image all by itself don’t you think? Chains are so restrictive. Tight. Life-draining. Oppressive. You can go this far but not a bit further. It’s like a dog that wears a circular dirt path in the grass around the tree at the outer limits of the chains reach. It’s sad. It’s certainly not freeing. Hayes, our youngest son, took our dog, Taylor, for a little walk recently. He unknowingly clipped her leash onto her dog tag instead of her collar loop which is designed to withstand her mighty tug. The dog tag was not nearly as strong and it wasn’t far into the walk that she busted free. In dramatic fashion, the leash snapped, the dog tag flew into the air and she took off as Zac Brown Band’s song, “Free” played from the heavens. “Just as free… free as we’ll ever be!” The hunt was on and we did wind up together again. Part of me was concerned for her and for Hayes but a deep-down part of me felt joy in the freedom Taylor claimed for even a short time. Don’t you long for that feeling sometimes? Total freedom. It’s the sentiment of a friend who says to Carrie and me the other night as we were driving home following a great dinner, “The only thing better would be if we just kept driving…” It was the gleam of freedom in his eye – the joy of the adventure, unencumbered by the responsibilities of every waking, adulting moment. Chains shall he break. Take a deep breath, would you? 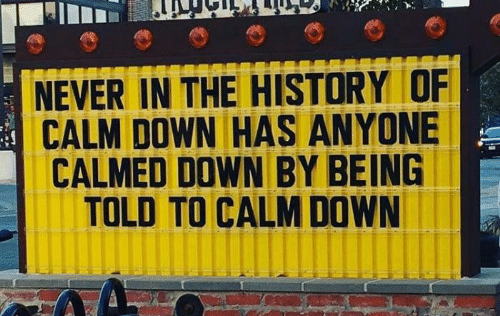 And now exhale…. that’s what it feels like when the chains of our lives are broken. That’s a moment of peace. That’s what we seek from a Savior, whose Advent – whose very arrival — is what we hold before us in this season. Peace doesn’t come easy. It’s long been the global wish shared at pageants and the like for years. “If I had one wish it would be for world peace.” It’s a grand and noble wish. 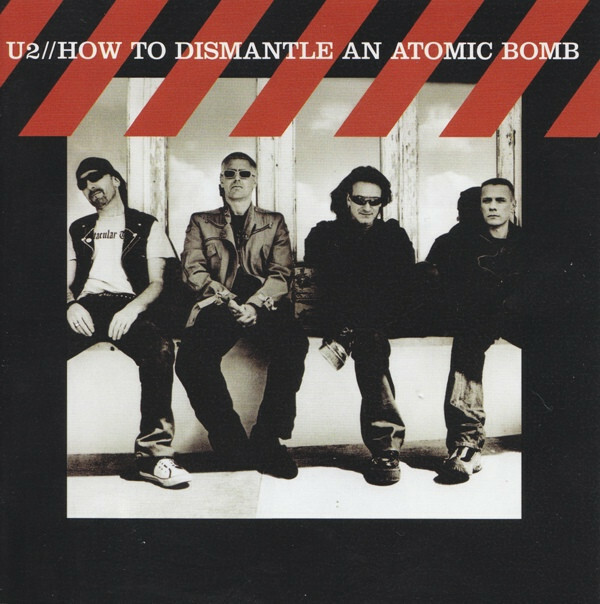 Bono, front man for U2, named one of their albums, “How to Dismantle an Atomic Bomb.” What a title – and what a challenge to imagine how you would go about such a thing. But Bono admitted concerning the grandness of the title, “Actually I was talking about my father Bob. He was the atomic bomb in question.” Dismantling bombs in search of world peace is an overwhelming premise when such diffusing of said bombs often refer to the Bobs in our lives or even to the inward struggles we hold in our own spirits. How can I imagine a peaceful world when there is such turmoil in my own very being? Oh we’ve got some inner chains that need breaking, don’t we. Jeremiah brought the prophecy of hope last week as we launched this Advent sermon series. Today, Zechariah brings the prophecy of peace. Do you know his story? Zechariah was a priest – married to Elizabeth. Sweet and steady couple up in years by now. Served faithfully in the church. On his selected day to enter the sanctuary to offer incense – which was a deep privilege that you didn’t get to do all that often as many a priest wanted a turn – Zechariah had an encounter with an angel. Because this act was one each priest handled alone while the people waited outside praying, it was a one-on-one situation which, as you could guess, brought a little anxiety to Zechariah. The angel, Gabriel, says to Zechariah, “Pssst… yeah, you, I’ve got some news for you. You’re gonna be a daddy!” “Uhhh, come again there Gabe?” “Yes,” he says, “You and Elizabeth will be parents just like you’ve longed to be. And the kid is going to be something. Here, Zechariah, cut into this cake.” “Why?” “Just do it – everybody’s doing it – it’s called a gender reveal party.” Zechariah cuts into the cake and looks at the angel befuddled. “It’s blue.” “That’s right,” says the angel. “Name him John – American parents will name their kids after him centuries from now – he’s got a big life ahead of him.” “Hold the phone here, angel. Me and Beth. Pregnant. Have you seen me? Have you seen her?” (He quickly followed with “Don’t tell her I said that.”) Gabriel knew this had blown Zechariah’s mind and that he probably needed some quiet time to process it all so he Harry Potter’s the priest: “Mute.” And Zechariah doesn’t utter another word until it’s time to sign John’s birth certificate at the hospital. The first words he speaks are the ones you’ve heard read this morning. 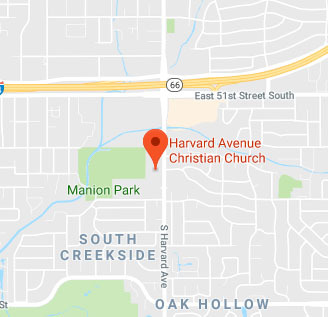 It is the prophecy of his son’s life whose wrestling name will later be, “the Baptist” for his role in baptizing so many in preparation of receiving the Messiah who was to come – who turned out to be Jesus, John’s cousin – convenient! Maybe we’d prefer to refer to these projects, and ourselves, as works in progress. Zechariah’s prophecy is surely saying, “the faith is strong… the progress is coming… this is the time… this child is the one.” Stay the course. John would be one to help usher in the Prince of Peace. “John, my boy,” Zechariah says, “You will be a forerunner, preparing the ways of the Lord, giving knowledge of salvation to the people.” It is like what Paul would say in Romans 10, “How can people call on the Lord if nobody tells them, shows them, or preaches Christ?” At such a time, when Zechariah is dreaming over the crib of his son, people didn’t have a sense of what God was personally like. The Greeks thought of a passionless God – one who looked on humanity with an unmoved detachment. Not much help there. The Jewish faith of that time had imagined a demanding God whose name was law had whose function was mostly judge. But God in the flesh, in Jesus, came to tell that God was love and in staggered amazement people could only say, “We never knew that God was like that.” The reality remains that many people today see God as detached or God as rule-enforcer or have been burned enough by religious hypocrisy that they also don’t know of a God of love and have given up on faith. Maybe you know such a person. Maybe you are such a person. Jesus shows us a different way… and it’s on us to make that love known to those who can quickly and easily say, “I never knew God was like that.” Chains he shall, he can, he will break, one oppressive link at a time. This is, in part, the work-in-progress we experience in the quest for peace that we shouldn’t give up on when attempts at peace often feel like an unfinished project. 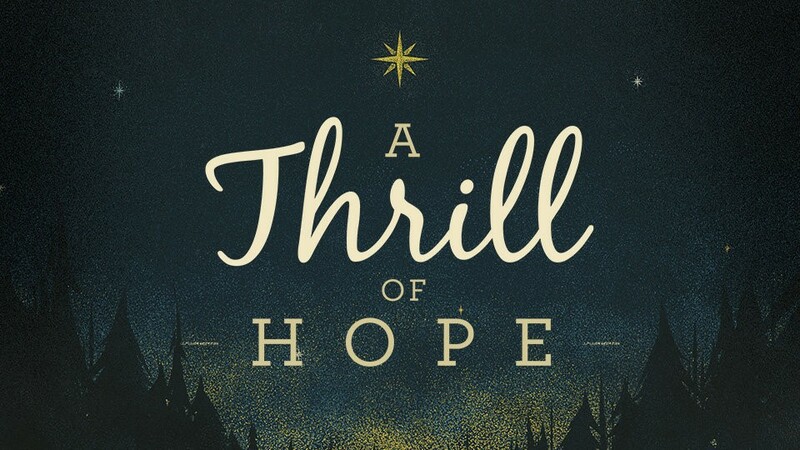 I mentioned last week, a bit of the history of the song we love to break out this time of year, “O Holy Night.” The song is the inspiration behind this thrill of hope series. The lyrics were written by an unchurched (and uninterested) French poet and musical score composed by a man of Jewish faith who never celebrated Christmas or the Messiah the words proclaimed. Once these facts became public, it became a problem for church leaders who declared the song unfit for church services. Church leaders can be stubborn sometimes … like any leaders I suppose… and can turn on something incredibly beautiful when it doesn’t come from one of their own. But only three weeks after it was penned, it was offered as the heart of The Christmas Mass in 1847. 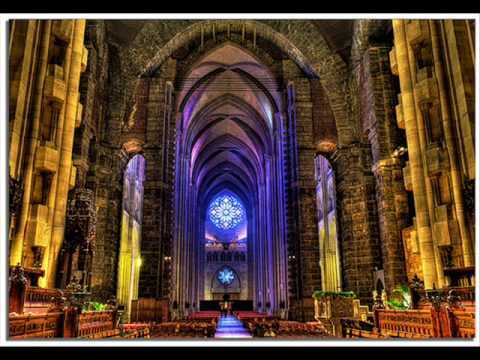 Though the French church banned the song for a couple of decades, it’s beauty had already captured the hearts of too many. And the leak was on. A reclusive American writer, John Sullivan Dwight, somehow came across the song and immediately was moved to introduce it to America. Dwight was an ardent abolitionist and strongly identified with the lines of the third verse: “Truly he taught us to love one another; his law is love and his gospel is peace. Chains shall he break, for the slave is our brother; and in his name all oppression shall cease.” We sort of accept these words as norm… we don’t feel the sting (even though perhaps we should) … but remember the time. 1860’s in America – the Civil War. Imagine being in a southern church on Christmas Eve and hearing “Chains shall he break for the slave is our brother… and in HIS name all oppression shall cease.” Gulp. Breaking chains to bring about peace doesn’t come without some conflict. And Zechariah says, “Forgiveness of sins” will be necessary in order to “guide our feet into the way of peace.” Talk about unfinished work. Forgiveness is a constant need. Forgiveness is not so much the remission of penalty as it is a restoration of relationship. It doesn’t erase what has been but it forges forward with new respect. It is estrangement turned friendship. Breaking chains means meeting each other with dignity even in our differences. I’m sure, by now, you’ve seen this image of 95-year-old war veteran and senator Bob Dole, with all his strength rise from his wheelchair to salute 94-year-old war veteran and past president George H.W. Bush. Man, that was a moment. And across the land, if but for a little while, there was a peace that focused on dignity and respect over poorly constructed spewed words of hate and division. It shouldn’t take death for us to treat each other with dignity. To whom can you offer some dignity that you’ve been withholding of late? What relationship can you restore? Not easy, I know, but you can take a humble step if even the other person will not. The staff team named Romans 12 in our Bible study last Monday. In it, Paul writes: “As far as it is up to you, be at peace with everyone.” You’ve got some agency in this peace-work. Theologian Paul Tillich said, “Faith is the courage to accept acceptance.” Not a bad word for us on either side of the forgiveness equation. In Christ, we are loved beyond measure and we are in turn called to love in that same way. That’s a kind of love that breaks chains. And it’s a commitment. If you give yourself to Christ… to truly study his way of love and attempt its counter-cultural practices, it will frustrate you even as it transforms you. Clive Staples Lewis used to say, “If you give Christ an inch, he’ll take it all.” What do you have to give Christ of yourself today? If you’re willing to give even a piece of yourself, he’ll start to break those chains and it will change the way you engage others too… which only brings about a greater peace in the world. It will be hard work. You may feel like you’re trying to dismantle an atomic bomb. But isn’t your spirit worth it? Isn’t the relationship with your child or your friend or your colleague or even that person who is a total stranger to you but so loved by God worth the effort? I heard a guy say this week that we so often see each other the way cows gaze at cars. A car drives by the pasture. The cow looks at it as it passes by. But there’s nothing going on inside that cow. Just chewing the cud and once passed, returns to feeding one of its four stomachs. That’s not peace. It may be easier but it’s not chain breaking. The inch you give Christ today may be relinquishing your weapon of choice that is in direct objection to peace. A friend said it to me this way, “If you’ve got your gun on you, you’re saying that option is not off the table.” The thought was, “If you’re carrying hate in your heart, in your speech, in your actions … then hate is always a ready option for you.” Whatever your weapon is: sarcasm, a grudge, a cutting word, dishonesty, whatever – could you take that option off the table… give it to Christ and see what he can do with that inch you’ve relinquished. Maybe when it’s time for this morning’s offering, you think about that which you might offer to God today in that regard. What weapon will you relinquish? Whatever that may be is certainly holding you back from living your best life, living into the vision that someone dreamed over your crib like Zechariah did John’s. Exegetical background as found in William Barclay’s Commentary on the Gospel of Luke. Westminster Press. 1975. As shared by Pete Rollins in an interview with Rob Bell: https://robbell.com/portfolio/robcast/. Episode 159.